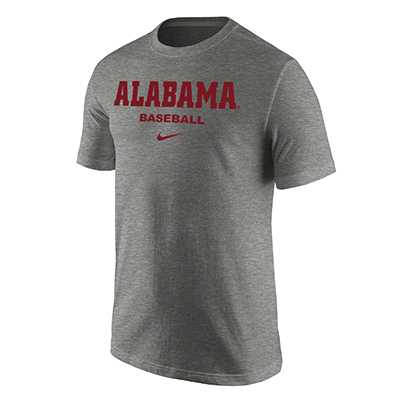 Nike and the University of Alabama partnered to create this classic Alabama Baseball T-Shirt. Showing your team spirit does not have to be synonymous with trying too hard. This t-shirt allows you to be as relaxed as you are smart about choosing Alabama, and it is perfect for any and all days. 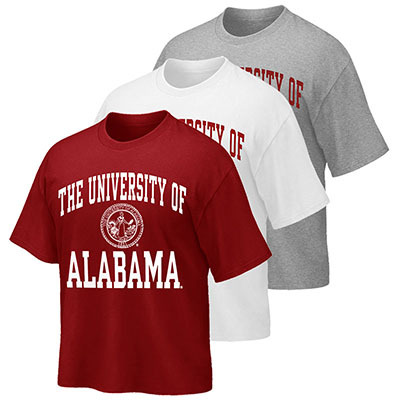 Purchase your Alabama Baseball T-shirt for a comfortable addition to your fan wear.